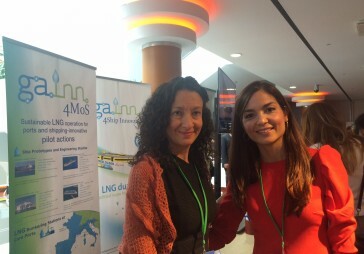 21 September 2017.- The European projects GAINN4MOS, GAINN4SHIP INNOVATION, GAINN4CORE, GAINN4MED and POSEIDON MED II are being showcased this week at the “Connecting Europe Conference Exhibition”. The general coordinator of the projects, Eva Pérez and the communication manager, Marina Sáez have travelled to Tallinn (Estonia) to present this clustering of projects together with other project partners from Italy. This event has been organised by the European Commission and the Estonian Presidency of the Council with the objective to identify policy actions and financing solutions to invest in the Transport sector with the perspective of the post-2020 EU financial framework. 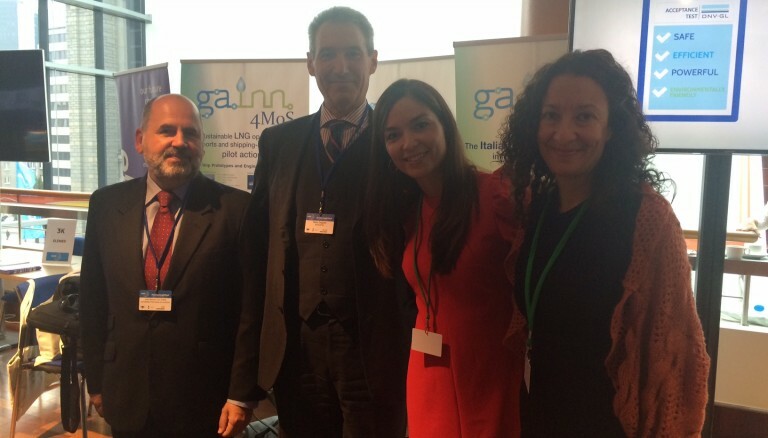 Image caption: Eva Pérez and Marina Sáez (Fundación Valenciaport) together with Mario Dogliani (Consorzio 906) and Juan Manuel Díez (Port Authority of Valencia) at the GAINN projects stand.